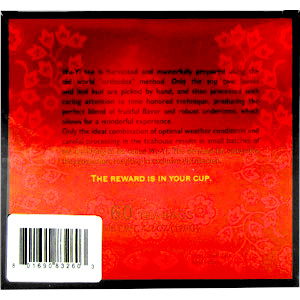 Wu-Yi tea is harvested and masterfully prepared using the old world "orthodox" method. Only the top two leaves and leaf bud are picked by hand, and then processed with caring attention to time honored technique, producing the perfect blend of fruitful flavor and robust undertone, which allows for a wonderful experience. Only the ideal combination of optimal weather conditions and careful processing in the teahouse results in small batches of tea qualifying to be called Wu-Yi. The demand far outweighs the productionl; resulting in exclusive distribution. 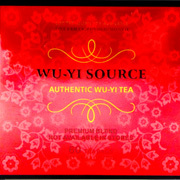 Truly authentic Wu-Yi tea at a price that anyone can afford. Strengthens bones, reduces plaque and tooth decay. Powerful cleanser and immune system booster. 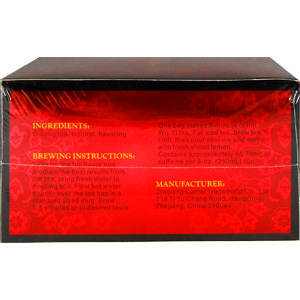 Contains a variety of herbal anti-oxidants. Brewing Instruction: To savor the full flavor and produce the best results from our tea, bring fresh water to a rolling boil. Pour hot water directly over the tea bag in a standard sized mug. Brew 3-5 minutes or to desired taste. Ted Leno "Amazing Flavor, Great Price!" The title pretty much says it. I enjoy it so much that I even keep a bo with me at work so that I can grab some of the tea anytime I like. It has a great flavor to it and it not even bitter! No sugar required either and that is huge, because my work doesn't carry sugar for some odd reason.. I love it and would highly recommend it for the price alone. I was sick of paying so much for quality Oolong tea, it was impossible to find something decent for the price. Can't beat the amazing value on this tea. Anonymous "Don't like the teabag"
The tea itself is great, I have no question about it but the bags themselves are leaving me in question. They tore through when I was seeping one time, of course I wasn't paying attention but no one could ecpet. The tea itself seeped just fine, but be careful. Maybe I just got a bad batch of bags. The quality on this tea is stunning. I'm tired of cutting back on what I eat so this helped me suppressed my diet by controlling my cravings. Let me tell you, it works. The bags are somewhat flimsy but that's not really not a issue since I use a infuser with it. It has a great value to it, so your saving a lot of money as your dieting and enjoying an amazing tea. The smell is great too! 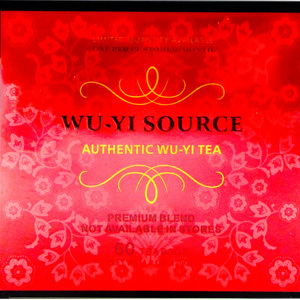 Authentic Wu-Yi Tea - Premium Blend, 60 bags is shipped in a discrete, unmarked package. Orders are processed immediately and usually takes about 3 to 5 working days to be received. We do ask that you try it for 2 to 3 weeks to feel the full effects. Any information received is used only for order processing and shipping purposes. Your information, such as e-mail address, will never be disclosed to a third party.